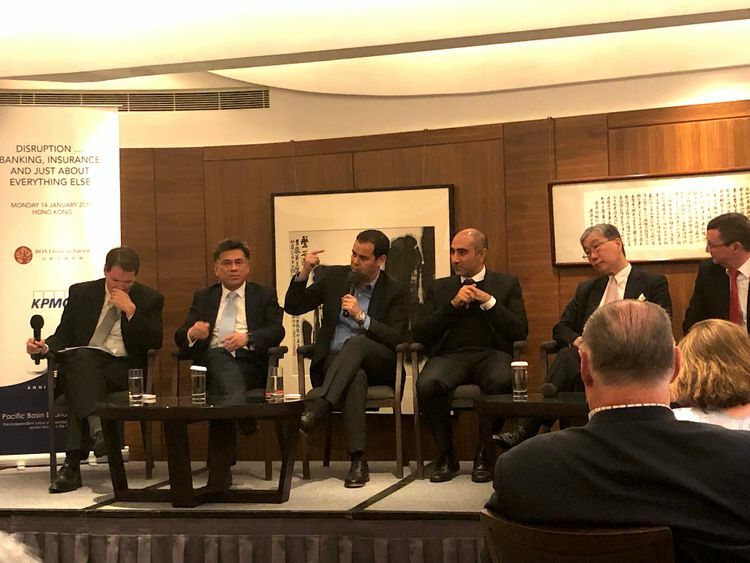 Soul Htite, FinEX Asia Advisor, chairman and founder of Dianrong, attended the Pacific Basin Economic Council (PBEC) panel discussion to share his view on how technology transforms financial industry. There is no disruption in financial industry but there is transformation, and this is not unique to finance, said Mr. Htite. The word “disruption” tends to make people think that banks may be replaced because of technology. However, it actually means change. Banks are not able to cover all customers and that is the business reality. Technology provides solutions and brings in business potential that will help the financial industry to do better. The adoption of technology in the finance becomes more and more important. The banking and insurance industries must embrace change rather than fear for it. 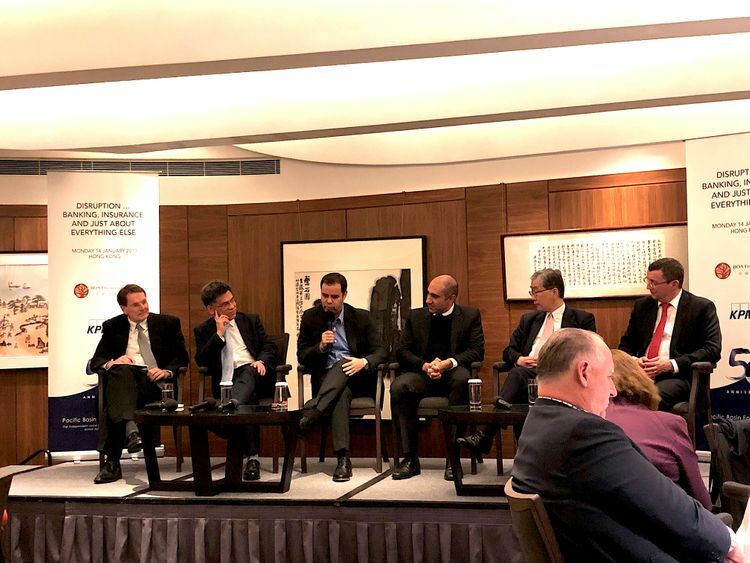 The panel discussion held by the Pacific Basin Economic Council is associated with the Asian Financial Forum and International Financial Week 2019 in Hong Kong. Soul Htite joined withAndrew Weir, PBEC chairman, regional senior partner, KPMG Hong Kong; Carson Wen, founder and chairman, BoA Financial Group, PBEC Board Director as speakers. Over the last decade, fintech evolved a lotand have brought many changes. As the iconic character in fintech industry, Mr. Htite identified the most obvious advantages that technology has brought into the finance industry is the saving of the cost. Taking facial recognition as an example, it was expensive and it cost a lot for adoption. Now it only costs 50 cents a scan. Furthermore, the cooperation between finance and technology is becoming closer. Finance and engineering used to be parallel operation without any interaction but now, engineering has more engagement and understanding of finance. Fintech also brings opportunities. The concept of “cash is king” will be replaced by the concept of “opportunity is king”. Access used to be privileged, limited and expensive. With technology, access and information becomes more ubiquitous. Technology creates more opportunities for everyone. However, the development of technology has of course brought in changes and one of them is the value of expert. There are “experts” in each industry and so does in financial services. With information is readily available, technology can structure information when it was unstructured. So, the value of that expert will become lower and lower until the yield is intact. This is happening to every industry. We can see family offices want to go to the product directly rather than get access through other intermediates such as private banks. What are the consequences of disruption or transformation? What are we going to see in the next 5 years? Mr. Htite pointed out that economy going forward is going to be made on trust. Banks need to spend a lot of money to verify the customers. The future of the business will be how to make such trust bound stronger. The development of blockchain is no doubt heading toward such direction that will make verify easier and make the trust self- evident. Logistics of finance will become very cheap one day and financial inclusion among all customers will then become easy.